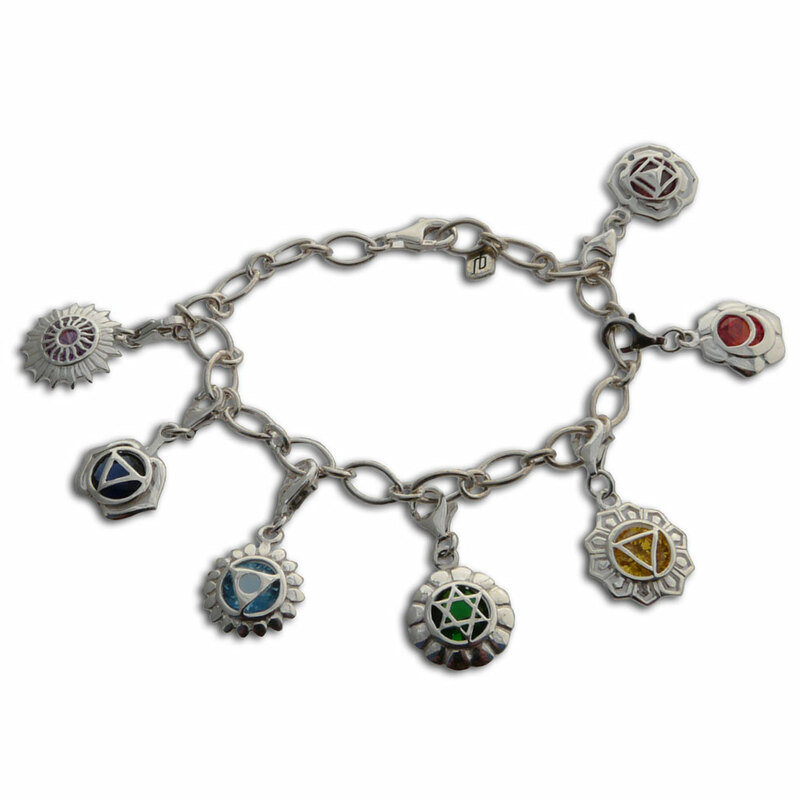 Get your good vibes going with shanti boutique's Good Vibes seven chakra charm bracelet and SAVE . 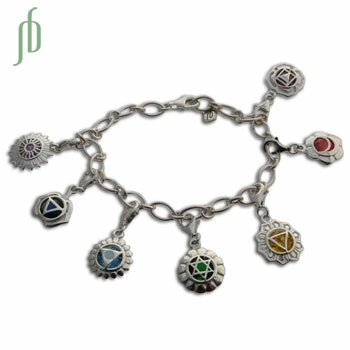 This set includes seven chakra charms 0.8 cm, each made of sterling silver and colored cubic zirconia with a spring clasp, one for each chakra: crown chakra charm with amethyst colored zircon, forehead chakra charm with sapphire colored zircon, throat chakra charm with turquoise colored zircon, heart chakra charm with emerald colored zircon, solar plexus charm with citrine colored zircon, sacral chakra charm with orange colored zircon, and root chakra charm with garnet colored zircon. 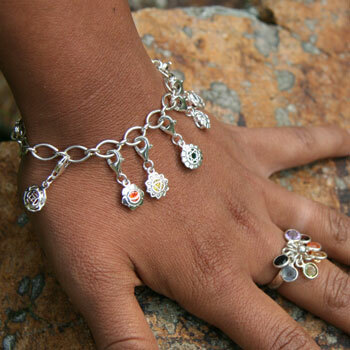 The 7.5" / 19 cm adjustable chain with oval links makes a great base for a charm bracelet. You can wear all the chakras at once, a couple at a time or just one, depending on what you feel you need. With the spring clasp, they are easily changed out.